So, I really dropped the ball on this review, I really thought I had it already written in my notebook. NOPE! There is a total of 3 actual blog posts written in the notebook and about 10+ pages of nail polish formulas. Shame on me! I was not sure what to expect when it came to this razor honestly. I want to talk about the blade and the handle before I get into anything else. The handle in my opinion is a bit weird, it has a weird angle too it. Not that it is a problem, but it just has a very weird gold, at least for myself it does. The head/blade swivels so it will definitely hug all of your curves and what not when shaving. The sheer size of the head though did worry me. I've found that every time I use a razor with a head that big, I ALWAYS knick my legs without bloody fail. Thankfully, I didn't knick my legs (or anything else for that matter) ONCE with this, kudos for that. As for the whole "moisture strips" thing-a-majigger, I'm not too fond of it. I don't really mind it, but they always dry my legs out more. The moisturizer in this isn't too bad, but I just don't like how it's placed on the head. Honestly, if you don't dry the razor off after you use it, the moisturizer basically dissipates out of the holes. Per the holes, it's kind of gross but their hairs that are small enough to get in, basically COLLECT there. Bloody hell. There isn't even a way to get them out. As for how the shave was, eh. I had to go over the same spot twice honestly just to get a good shave. There was still a bit of stubble left on my legs after one pass. I'm not disappointed in this razor, I do feel that it has some faults, but all around it is a decent razor. I honestly can deal with the whole having to go over the same spot twice, that doesn't bother me. This does make your legs feel absolutely fantastic, until the moisurizer dries, then I suggest using your own lotion, because my lefts felt like a desert. I did shave every place a woman shaves.. (it needed to be said) to test this out and it was okay. Once again, not my favorite. I did find that this worked fantastically on my underarms, but it made the hair that grew back in other places, kind of uncomfortable, because of the way it cut the hair. We shant say more on that subject. With that being said. I feel like this razor could be improved on, but it is decent enough for me to continue using and potentially buy new head replacements for. (if they aren't ungodly expensive. I've not looked as of yet.. prices will be at le bottom) I bloomin' hate giving such a meh review about things, which is probably why this has taken me a long time to type, since I never wrote it beforehand. I have used this razor a couple of times (3 times) and the moisture strips at the top and bottom are almost gone. I'm not sure how long they are supposed to last, but they were about half gone after the first use. If that is any type of help regarding the moisturizing aspect. 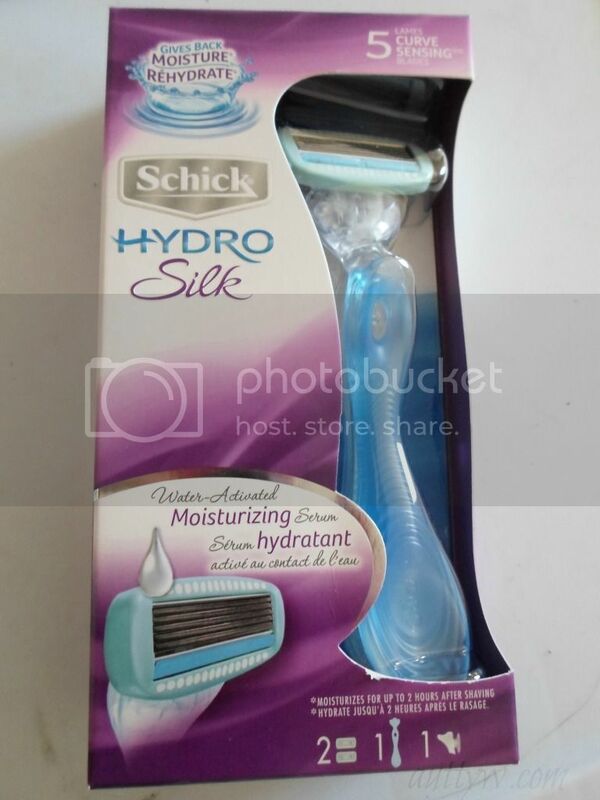 I do want to thank BzzAgent and Schick for giving me the opportunity to try this product! 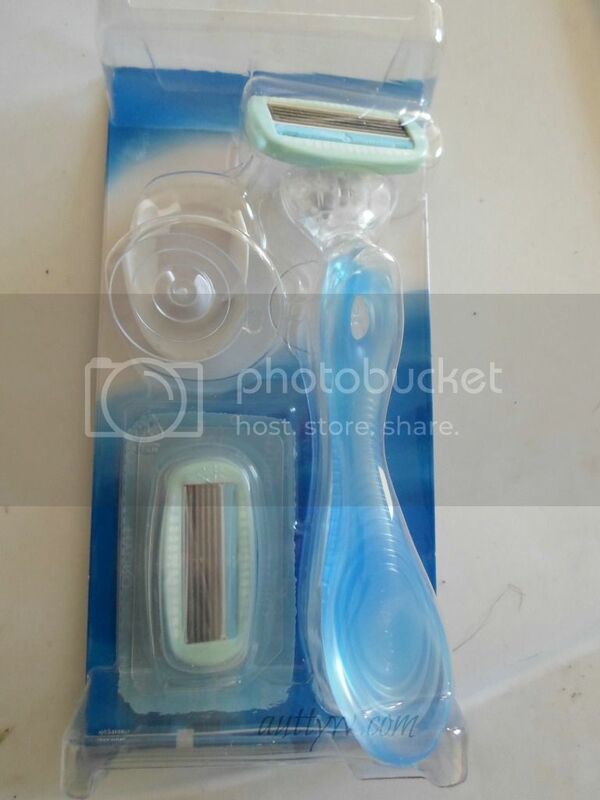 This retails for between $6-$10 depending on if you buy the one that comes with the shower hanger and extra blade or the one that comes with 1 blade and the handle. The cartridge refiles are around $15. Meh honestly, that's why I don't buy razors that require refills. The prices are extremely too high in my opinion. Anyways, have you tried this razor before? I'd love to know what your opinions are of this. Disclaimer: I received this product for FREE from BzzAgent and Schick for my honest and unbiased review. All opinions are my own. This review is extremely helpful. 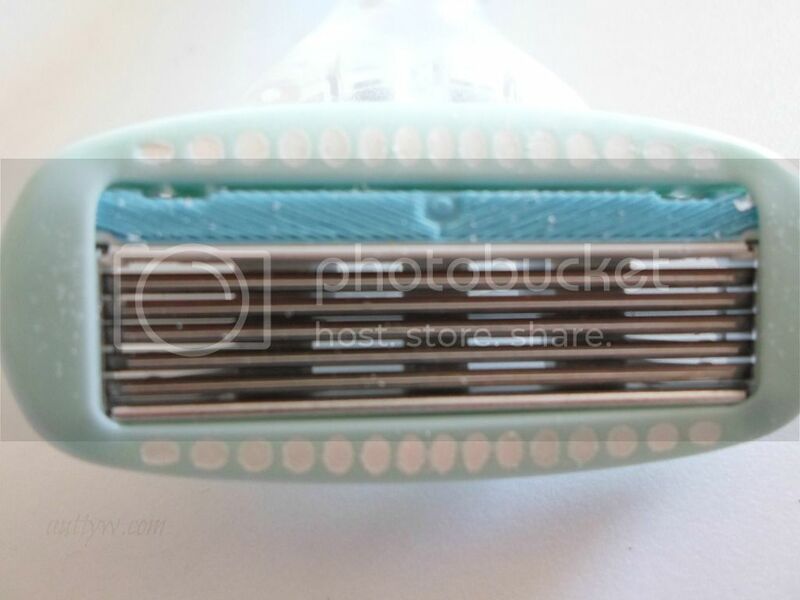 I've tested out the razor once and I noticed too that hairs were stuck inside the handle. Yuck! Didn't want my boyfriend to see that! That would be so embarrassing!